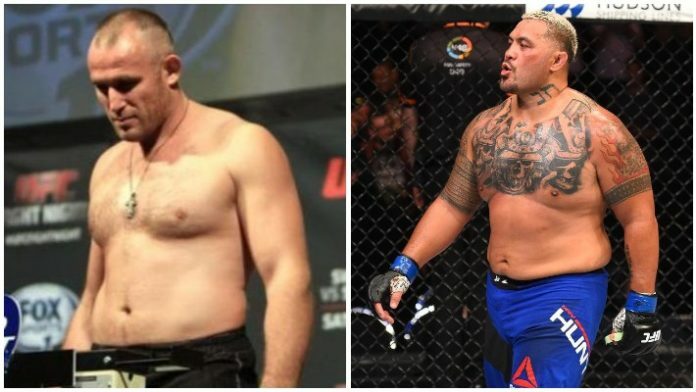 Aleksei Oleinik vs. Mark Hunt has reportedly been finalized for UFC Moscow after initial plans were derailed. The UFC had penciled in former heavyweight champion Fabricio Werdum to do battle with Oleinik on Sept. 15. “Vai Cavalo” was then hit with a flag by the U.S. Anti-Doping Policy (USADA). Due to Werdum’s provisional suspension, the UFC now turns to Hunt. This fight is finalized, sources say. Oleinik has gone 3-1 in his last four outings. He is best known for having the most wins via Ezekiel choke in mixed martial arts competition with 12. Earlier this month, Oleinik submitted Junior Albini via Ezekiel choke. Hunt last competed at UFC 221 in Perth. He fell short against Curtis Blaydes, losing via unanimous decision. The “Super Samoan” has gone 1-1, 1 NC in his previous three outings. His last victory was against Derrick Lewis back in June 2017. UFC Moscow will take place inside Olimpiyskiy Arena in Moscow, Russia. This will be the UFC’s first visit to Russia. No other bouts have been set, but Kyle Bochniak recently challenged Artem Lobov who happily accepted. It’ll be interesting to see if the UFC books the match-up. Who do you give the edge to, Aleksei Oleinik or Mark Hunt?